The confusion is more complicated, and comes from the last bit of the quote: “[they] will never adopt our language or customs, any more than they can acquire our complexion” (emphasis mine). Audiences are puzzled by this. Don’t Germans and English people have the same complexions? Aren’t they both white? In 1927, Washington Congressman Albert Johnson spoke of immigration from Southern and Eastern Europeans as a “a stream of alien blood” threatening to corrupt the “pure” blood of the Nordic peoples. Such sentiments had led to the passage of the National Origins Act of 1924, of which Johnson was an architect, placing strict quotas on how many immigrants could come from each nation. It essentially choked off immigration from Southern and Eastern Europe while also broadening the Chinese Exclusion Act to cover virtually all people of Asian descent. It would not be until the Hart-Celler Act of 1965 that America would open its doors to immigrants on a broad scale again. 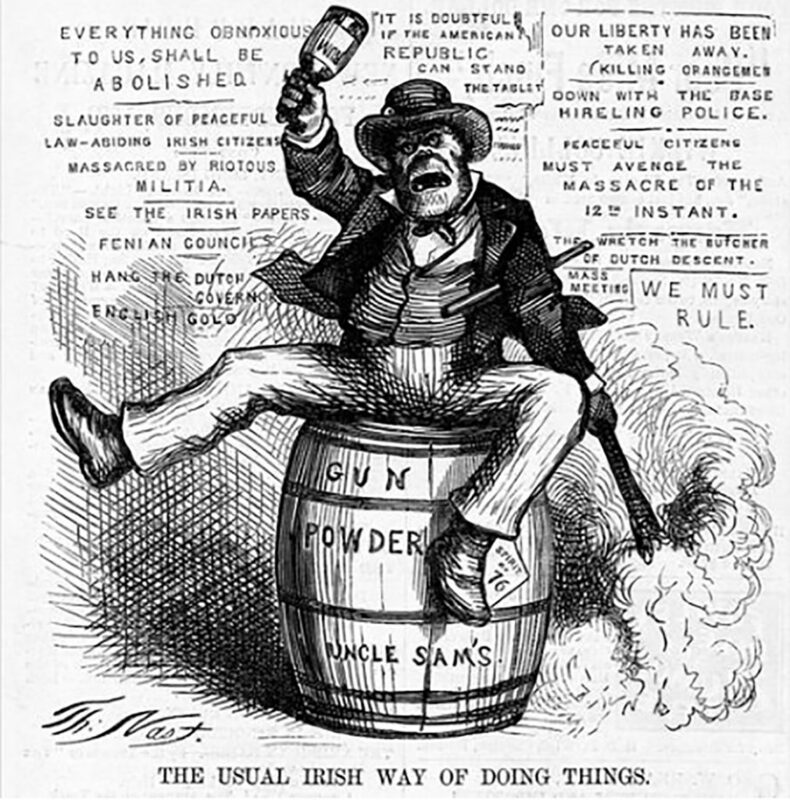 From Germans protesting the Irish in the 19th century to the Germans, Irish and Italians opposing African-American communities who were flocking to Northern cities during the Great Migration, race has and is a tool used by the powerful against the powerless, who are typically newcomers.